Playing your first round of golf can be intimidating. Will you know how to act on a golf course? Will you be unsure of yourself and the rules? Here's a quick primer - 10 basics of rules of etiquette - that can help make your first round of golf go easier. Taking the right equipment to the course involves both rules and etiquette. The rules place a limit of 14 clubs in each golfer's bag. There is no minimum number of clubs you must have, but borrowing clubs from your partners is not a good idea. Borrowing clubs during a round is permissable under certain circumstances, but it is against the rules in most. So it's best for a beginner to simply make sure he or she has all the clubs they need, up to the maximum of 14. Even if you're not playing strictly by the rules your first time out, you won't want to be badgering your playing partners to borrow equipment. Make sure you have in your golf bag plenty of tees and, most importantly, plenty of golf balls. After all, if it's your first time out, you'll probably be losing a lot of balls! And take a ballmark repair tool with you (more on course care below). These are small tools that can be found for a couple bucks at most pro shops. You will need one to repair ballmarks on the greens. For most rounds of golf you play, you'll want to reserve a tee time. You can get a tee time by calling the golf course the day before (or several days prior, depending on a course's policy) you want to play and requesting a specific time. Once your group has reserved a tee time, say, 10:14 a.m., it's really nice to actually make the tee time. Plan to get to the golf course at least 30 minutes early, just to be safe (many golfers arrive up to an hour early to warm up). If a tee time is missed, your group might lose its spot and have to wait around for another opening, which can take hours on a busy day. So while tee times are not always required, it's a good idea to have one. As for tipping: Yes, you might have to tip at some golf courses. At municipal courses tipping is almost never an issue. If playing a private, semiprivate or upscale public course, bring some extra bills to tip the "cart jockeys" (the guys or gals who might greet you on arrival with a cart, or carry your clubs to and from your car) and the beverage cart drivers (the guys or gals who sell drinks around some courses from a well-stocked golf cart). The amount of your tip goes up in direct proportion to the green fee. On the teeing ground, you must place your ball between the tee markers, either even with them or up to two club lengths behind them. Never in front of them. Tee markers are usually small, colored cones or stones or some other similar indicator. For example, if you're playing from the white tees, look for markers painted white. The player who has "honors" tees off first. On the first tee, this can be decided randomly (draw straws, play paper-rock-scissors, whatever). On ensuing tees, the player with the best score on the preceding hole goes first, the second-best score goes second, and so on. Ties carry over to the next tee box, so you keep your place in the rotation until you beat someone on a hole. One exception that is always in place: You are allowed to pick up and clean the ball when it's on the putting green (place a ballmarker just behind the ball before picking it up on the putting green). Out-of-bounds should be clearly marked around the golf course, usually through the use of white stakes or white lines. The penalty for OB is stroke-plus-distance; that is, add one stroke to your score, then go back to where you hit the shot from and hit it again. Of course, that takes time. At busy golf courses you won't have that time because there is likely to be a group behind yours waiting to play. So when you think you've hit a ball out of bounds, you'll need to play a second ball (called a "provisional ball") off the tee so you won't have to retrace your steps if the first ball really is OB. Make sure to announce to your playing partners that you are hitting a provisional, then re-tee after everyone else has hit and play your provisional tee ball. If you find your first ball and it is actually in bounds, then you play the first ball. If you can't find your first ball, or find it out of bounds, then play your provisional ball (in which case your provisional ball off the tee counts as your third stroke, so your next shot will be your fourth). Always be prepared to play when it is your turn to hit. Don't wait until it is your turn to figure out which club to use, or to determine the line of a putt; use the time while others are hitting to make those decisions, so that when it's your turn you can step right up and play. If your group is slower than the group immediately behind yours - if your group is holding up another group - it's good etiquette to allow the faster group to play through. Not all groups will want to do this, but many will, and all that do will be very grateful for your show of etiquette. Water hazards should be clearly marked on golf courses. Yellow stakes or lines indicate a water hazard; red stakes or lines indicate a lateral water hazard (a lateral water hazard is a water hazard that runs alongside, rather than across, the line of play). You can try to play a ball that is in the water, but that's generally a bad idea. Instead, for "regular" water hazards, take a 1-stroke penalty and drop a ball at any point behind the spot where your original ball crossed into the water hazard, but on the same line of play (think of it this way: look at the flag, and look at the spot where your ball crossed into the water hazard; now imagine a straight line drawn back from the flagstick to that spot; then imagine that line extending back behind you - that's the line on which you must drop). Always repair your ballmarks (also called pitch marks) on the green. Ballmarks are indentations sometimes made in the putting green when a ball thumps to the surface. Always repair your divots in the fairway. Divots are the scrapes or chunks of turf sliced off (or dug up) by iron shots. Repairing a divot might mean picking up the sod that you've chopped up and placing it back in the resulting scrape; or it could mean pouring sand or seed into the spot of the divot. If sand or seed are provided by the course (usually in a container that rides on the golf cart), that's what they want you to do. If there's anymore, please feel free to add..
As expected, this is probably among the least viewed and discussed thread in KakiGolf forum. Just like me, a newbie to golf, the enthusiasm, excitement and the need to improve in the shortest possible time would probably motivate us to discuss more on these topics and pay less attention to less interesting subjects such as golf rules & etiquette. But seriously, "etiquette" in golf is not just about manners or dress codes. It's a word that's often heard in golf, more than in any other sport. Since I started golfing a year and a half or so ago, I've had the benefit of playing casual & friendly golfing together with lower handicap golfers and golf pros even. The experience gained is invaluable to say the least. Not that I was able to play better and improved my scores but more on being able to watch how they behaved and conducted themselves on the golf courses. I've noticed one thing, the better golfers, the golf pros especially, would really emphasized on golf etiquette. And I have to admit, I've still a lot to learn. On the opposite end, I've noticed when playing with newer and less experienced golfers, even basic etiquette are ignored. 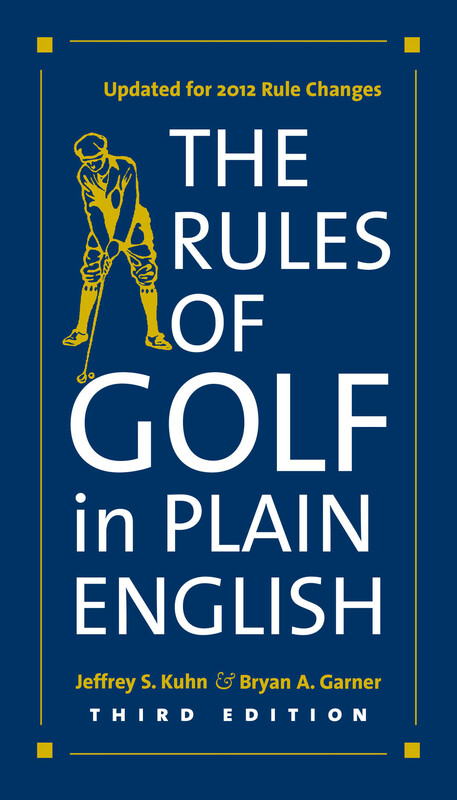 The rules of golf etiquette are there for several very important reasons, and many of them relate to the safety of golfers, pace of play (which helps keep the game enjoyable), and maintaining the quality of the golf course. Golf etiquette is an essential part of the game. And it's something that newcomers to the game often learn as they go - on the course, when playing with more experienced golfers. So if you are new to the game, or just need to brush up on your golf etiquette, lets discuss them here and hopefully this will help keep the game enjoyable for all of us and for those around us. yes!!! setuju sgt ... very important to know etiquette first when starting to play golf... rules sama penting tapi boleh belajar along the way ... tapi adab di atas lapangan golf memang penting! 2. Make movements within the eye-line of a person who is about to putt.. This one arrr .... getting to be a nuisance on the golf course lah ... should consider banning! I think that maintaining proper etiquette actually gets you in the right mindset to play better. When you take it seriously, and respect the rules, your experience is already different, more focused, and also more at peace imo, because structure brings order. I'm all for abiding to the rules and etiquette of golf. It makes the game more enjoyable and stress free when you know that every one in your flight will play like a gentleman. One area of concern that I have is our declaration of handicap. One would expect that a player would declare a truthful handicap when playing a round. Unfortunately it always isn't so. It would be great if members of this forum take steps to ensure that they obtain the appropriate handicaps from their existing clubs or even register with NHS. Then submit your score every time you play a round at any of the golf courses. This would ascertain that your handicap is always current or up to date. I look forward to the day when "flexible" or "variable" handicaps become a thing of the past. Whilst our forum is fun and friendly, we would also be known as a golfing group that has a high degree of integrity amongst its members. Have to agree ... to keep the all "buayas" in sheeps' clothing at bay ... Question is how to enforce? But this can be a real issue as our community grows in numbers ... as more and more kakis join us at the greens, especially if we start having tournaments, prizes & goodies ..
Having said that .. it can also be a double edge sword ... the existence of forums such as ours depends on numbers, participation in the forum and events, hits and visits to the web site... So having such "condition" might not appeal to some golfers (not necessarily buayas) who do not want to go thro' the hassle of getting handicap cards. I guess that's why they have the "system 36" to calculate the day's handicap and "stableford" to calculate the scores.. But another concern that is worth looking at is ... counting of scores ... There are some golfers who suddenly become lousy in maths when they count their own score cards .... They seem to forget how o count ... So if the score cards isn't correctly counted, then even the "system 36" modified or whatever ... can throw it out the window lah! Bro nak tukaq bahasa ni agak sukar skit .... kalau versi di bawah ok ? Water Hazards are identified by yellow stakes while Lateral Water Hazards are identified by red stakes. When a ball is in either water hazards or lateral water hazards, the most important point to note is where is the last point of entry across the margin. Normally, the last point of entry is also the first point of entry unless of course the ball flew across the pond, entering the margin, then come out of it and then hit a tree and bounced back into the pond. Then the last point of entry is the point in which the ball crosses the margin after hitting the tree and bounced back. (ii) the in line method, keeping the point of entry directly in line between the hole and the place you want to drop the ball as far back as you want. In addition to the above, if your ball goes into a lateral water hazard, you have an additional option to drop within 2 club lengths from the point of entry. Bola pemain melepasi sempadan kolam air (rintangan air) trus masuk maka relif yang dapat diambil sesuai Per.26 adalah kembali ke tempat pukulan semula dilakukan sebelum bola masuk air (kalau di tee box, letak bola di tee atau dirumput) atau mengedrop bola di belakang kolam di atas garis kuning-tebal, keduanya dengan penalti satu pukulan. Kalau kayu / tanda / patok / stake kolam tersebut warna merah (Lateral Water Hazard), maka salah satu pilihan, pemain berhak mengedrop bola di depan di dalam jarak 2 panjang klab dari titik yang bola terakhir kali masuk batas air, tidak lebih mendekati hole, dengan penalti satu pukulan.